Looking for private in-home or in-studio Sewing lessons? Our Haltom City teachers are ready to get you started. Find your teacher today! My name is Kaneshia Andrews and I started sewing in 2004, mainly sewing as a hobby. Over the years, I started sewing professionally for my online store fierlessfashion.com, friends and family. In addition to sewing, I also make jewelry. 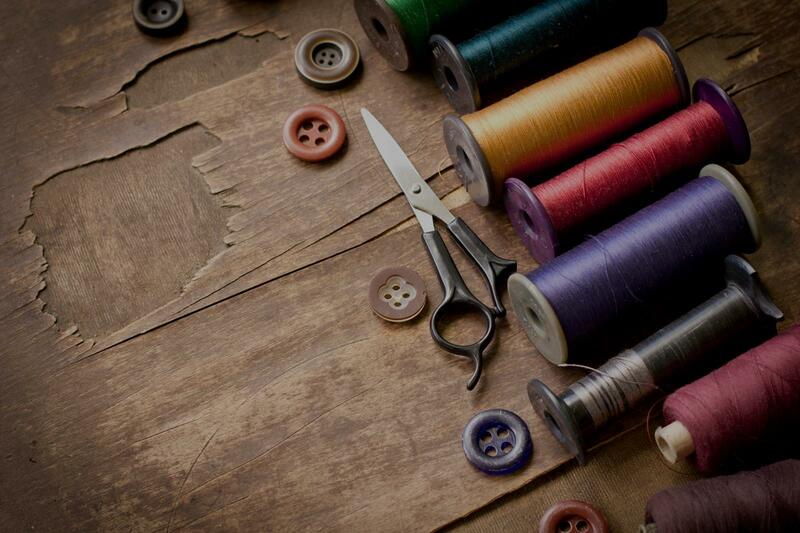 I am affiliated with a national sewing organization such as ASG of Plano. I’ve taken online classes with Stratford Career Institute, Burdastyle University, Crafty classes and in-studio with Petit Atelier. It is widely known that sewing is fun, educational, and practical. Learning to sew is a wonderful hobby for all ages. Wow! What a great lesson on sewing! I’m a beginner and Kanesha was so patient with me and I left feeling great! Looking forward to my next lessons! Kaneshia is an awesome instructor! She had a great beginner lesson, making it easy to follow along! I’m super excited for the next lesson and more after! She is a people person and very patient! I highly recommend! She was easy to work with and understood what I wanted to learn. I am looking forward to our next lesson. My expertise in sewing always inspires creativity and passion within students, and the ease with which i guide them to explore their own creativity bring fun to the lessons. Having over 25 years of custom couture tailoring and teaching has given me a vast experience in order for me to equip any student with the requisite knowledge needed to tackle any sewing project. Most people simply call me Joe. I have a bachelors in Fine Art, an MBA and been making clothes for my clients for over 25 years. I taught many people sewing and they've gone ahead to tackle various projects on their own to their own disbelief. Creativity comes to me naturally and with a background in figure drawing and painting, my knowledge of anatomy of the human figure helps a lot in translating it into designs for all figure types and sizes. I have handled many interior design projects also, so all these experiences equip me with immense knowledge to transfer to those who want to learn all about sewing, whether as a beginner, an intermediary or advanced student. I can sincerely attest to Kojo's examplary work and professionalism. He has been my clothes designer for years and great teacher in his field. I can't think of any better tutor and creative arts person who is an eventor in his field. Starting with basics for beginners. To achieve a goal or sample sewing for them. Information about some machines, materials, hand sewing. Experienced of many years for design assistance to good fit. For more advanced, working together simply creating a new garment. "She was easy to work with and understood what I wanted to learn. I am looking forward to our next lesson." Dallas, TX teacher: Kaneshia A.
forming around the knowledge she has shared with me." "Kaneshia is an awesome instructor! She had a great beginner lesson, making it easy to follow along! I’m super excited for the next lesson and more after! She is a people person and very patient! I highly recommend!" "Wow! What a great lesson on sewing! I’m a beginner and Kanesha was so patient with me and I left feeling great! Looking forward to my next lessons! "Kaneshia was very knowledgable and patient! I learned a lot while having fun during my session. I can't wait to have my next sewing class with her!" "I enjoyed working with her! She is amazing! I had surgery so I took one month break! I can't wait to start back!!! She is very patient!"